First, I am not sure how people peg me as a “come here” so quickly, and second I always quickly clarify that I mean NY state, not the City. I’ve only been to the city a handful of times, and frankly it’s not my favorite urban area (sorry NYC, Boston will always have my heart). Once people get over their initial shock they tend to ask me what brought me to this area. My answer? Simple, the water. 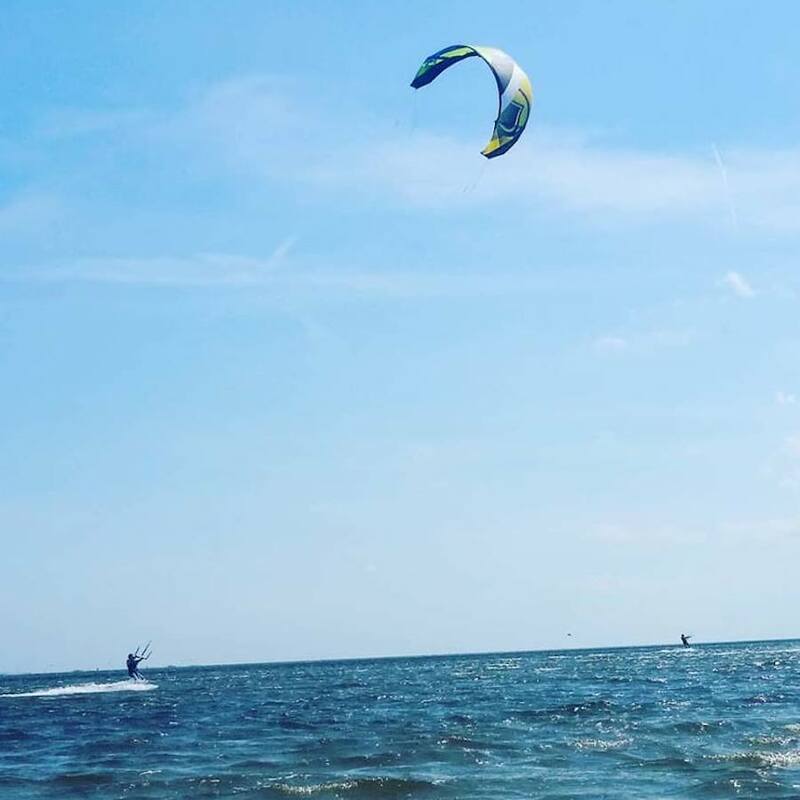 My boyfriend, Will loved getting out on the Bays on his kiteboard! New York has some incredible water bodies. The St. Lawrence River and the Thousand Islands, two Great Lakes, The Finger Lakes, the cold clear lakes and swift rivers of the Adirondacks, and even some salty bays and the Atlantic Ocean (if you’re willing to brave the traffic of Long Island). But there is something about the bays and beaches of Delmarva that spoke to me strongly enough to pack up my entire life and make the move. Plus, not having to shovel my driveway every morning for 5 months of the year was an extra incentive. I arrived in the region on Halloween night 2015 with a moving truck and a Subaru packed full of all my belongings, two confused dogs, and two furious cats. And although I left behind a cool job with National Audubon Society, friends, family, elevation over 20 feet, and my beloved Wegmans, I haven’t regretted this change for an instant. Prior to joining the CIB I worked in Maryland with a small natural history museum, and in Virginia at the NASA Wallops Flight Facility Visitor Center. While at Wallops I learned more about rockets than I ever thought possible, and I was part of the team that created the new engineering exhibit (go check it out!). But I am thrilled to be a part of the team at the CIB and working to protect some of the resources that brought me here to begin with. 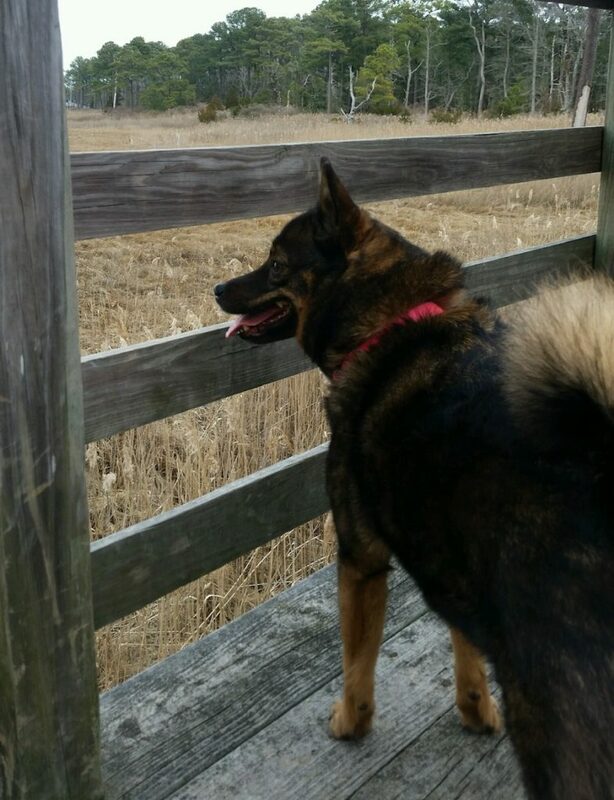 MY dog Sisu LOVES to visit the James Farm! Already I’ve spent an evening at the James Farm tagging Horseshoe Crabs, explored walking and biking trails along water bodies, and recently our staff went out as a group to explore the bay by boat! It has been wonderful getting to know Delaware’s Inland Bays, and as the Outreach & Education Coordinator, I’m looking forward to inviting residents and visitors to get to know and love these bays as well, so we can work together to help protect and restore them. Amy is the Outreach & Education Coordinator with the Center for Inland Bays. 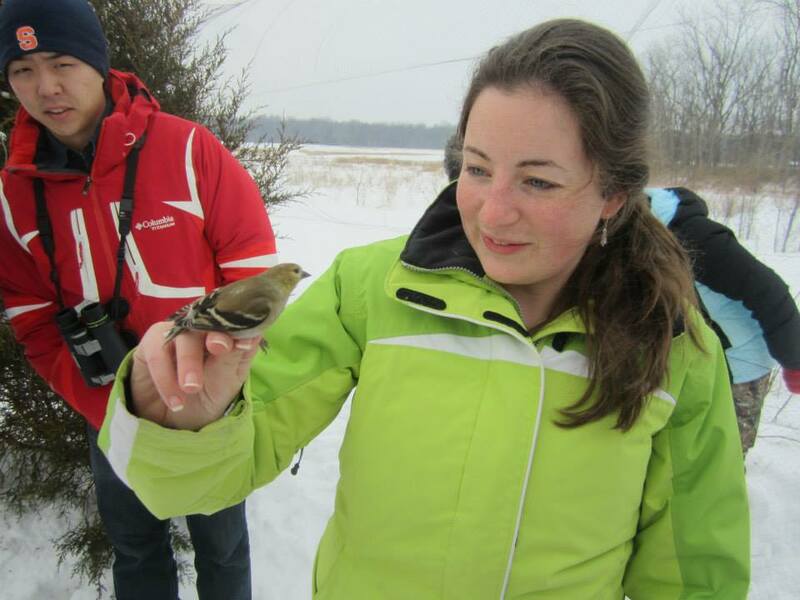 Originally from the Adirondack Mountains in NY, Amy completed her Bachelors in Environmental Studies and Education at Green Mountain College in Vermont. She then went on to complete her Masters of Science through Lesley University’s Ecological Teaching and Learning program in Cobscook Bay, Maine and Cambridge, Massachusetts.